Administrator Grace Achille provided the Congressman with a tour of the center, where he had the opportunity to witness the high level of care being provided to residents and patients. In a round table discussion, he heard from several patients who are receiving rehabilitation therapies that will allow them to transition back to their homes or other community-based living arrangements. Nearly 90 percent of Royal Palm Beach’s residents – almost three times the national average – are able to successfully return to the community after undergoing therapy at the 120-bed facility. During the visit, Achille described the center’s various primary therapy disciplines and discussed federal issues affecting rehabilitation therapy and other skilled nursing services for Florida's seniors. While meeting with some of the center’s rehabilitation patients, Congressman Murphy noted how valuable restorative therapies are in helping people regain their former lifestyles after a physical setback like a stroke or accident. “The goal is always to help seniors remain in their own homes; however, when care is needed, both the Palm Beach community and all of Florida are fortunate to have access to such high level of care at long-term and post-acute care facilities as well as the support of skilled caregivers to provide better rehabilitation outcomes,” said Murphy. This week, FHCA is celebrating Florida’s 85,000 assisted living facility (ALF) residents and the outstanding places they call home as part of National Assisted Living Week (NALW). 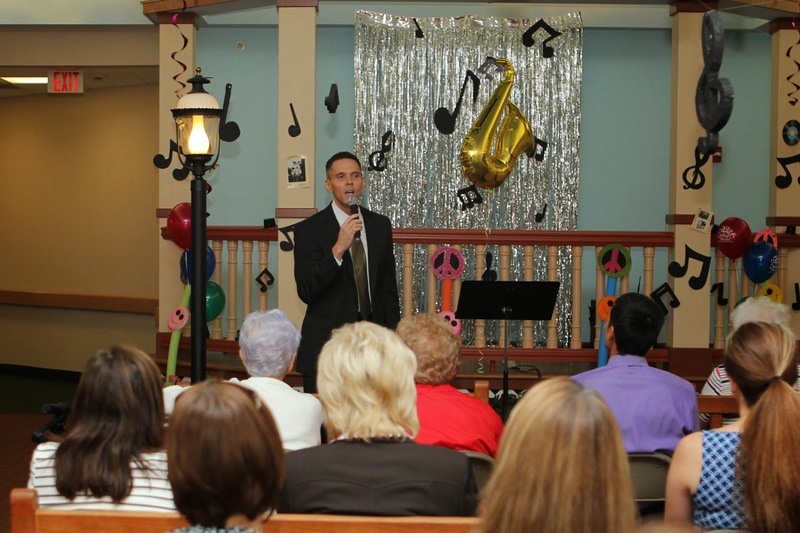 FHCA's assisted living facility members are hosting festivities around the theme of National Assisted Living Week, “The Magic of Music,” which showcases the integral role music plays in assisted living residences every day. On Wednesday, Rep. Ross Spano visited Hawthorne Village of Brandon, a continuing care retirement community which offers a wide variety of services, including long term care, short term rehabilitation, assisted living, independent living and massage/outpatient therapy. During the tour, Rep. Spano met with Hawthorne Inn Assisted Living's residents and staff. Knowing the center was celebrating National Assisted Living Week, he asked if he could sing a song to help celebrate the occasion. Residents and staff were treated to the talented Representative singing "God Bless America." His incredible rendition, sung acappella, gave way to cheers and smiles. NALW is an annual occasion established by FHCA's national affiliate, the National Center for Assisted Living, which provides a unique opportunity to honor the individuals who reside in assisted living and the staff members who provide them with extraordinary care day in and day out. The transformational effect of music continues even as individuals age, providing joy and comfort and, in some cases, pleasant memories of long-ago experiences. Music also has the ability to bring people together, something on which assisted living communities pride themselves. National Assisted Living Week is serving as a catalyst to do just that, as well as help members of the community understand the many contributions of assisted living.